​Travel insurance is an insurance policy that is intended to cover medical expenses, lost luggage, flight accident and other losses incurred while travelling. Many travel insurance companies offer a range of policies; the more expensive the premium, the more extensive the coverage. You don't need to buy it from your bank - our research showed banks like Westpac and BNZ can charge up to DOUBLE for like-for-like policies from well known travel insurers. You don't need to buy it from well-known brands - our research showed State and Tower can charge up to DOUBLE compared to other challenger insurers who can often provide better cover. Buy it when you book your tickets so you don't forget (and be sure that the policy includes cancellation cover). We have published this guide to explain the ins and outs of travel insurance. We explain how travel insurance works, what you need to consider when buying a policy and what to watch out for. We have shortlisted the best travel insurance policies for travel in Australia, the Pacific Islands, Asia, Europe, North America and cruises. Disclaimer: While we have taken the utmost care in putting together this guide, you use it at your own risk, and we do not guarantee the accuracy of the information presented. We recommend confirming policy terms and conditions directly with any travel insurance company before purchase. You need travel insurance for many reasons, but most importantly you need it as it can help cover any medical expenses you incur overseas. Travel insurance also can cover you for accidental damage, lost or stolen items. Some insurance policies also cover delayed flights and cancellation. MoneyHub has put together this guide to help you maximise the benefits while minimising the cost of travel insurance wherever you are heading off to. What type of travel insurance is the best for my holiday? Finding the right travel insurance involves knowing how long you will be away, how many people will be travelling together, where you are going and what you will be doing. Are you going solo (individual), travelling as a couple, a family, over 65 years old or part of a group? Your answer will determine what you pay for travel insurance. Emergency evacuation: If you need medical treatment or aftercare back in New Zealand, this is the cost of flying you home. Baggage and personal belongings: This covers you if your bags or items are lost, stolen or damaged. Expert tip: When purchasing a policy, check that the policy covers more than just medical - the difference in cost between policies NOT covering baggage and travel cancellation/delays and those that DO cover them is often very little. Do I need travel insurance when visiting Australia? You may have heard that medical costs are covered if you need treatment in Australia, but the reality is that only basic subsidised emergency care is included. Also, there are a lot of costs if you need medical care that won't be covered - medicines, unused hotel nights and re-booked flights back to New Zealand are just some of these items. Beyond medical costs, travel insurance will cover lost, stolen or damaged property as well as a number of other unfortunate events so even if you don't get sick you still could experience some other inconvenience. It's our view that travel insurance to Australia is affordable, and to protect yourself from unknown costs and stress we recommend getting it. Our researchers found 5-day policies for around $20 which won't break the bank and provide a lot of upsides should you need to claim. Expert tip: When purchasing a policy, check that the medical cover goes beyond standard reciprocal agreement between Australia and New Zealand and includes private care. Otherwise, you run a risk of joining a waiting list in Australia for non-urgent treatment (just as you would in New Zealand) which makes for a miserable holiday. Do I need travel insurance if I'm on holiday in the Pacific Islands? The answer is yes, and for the same reasons you would buy travel insurance for a visit to Australia. The Pacific Islands offers even less protection to visitors by way of emergency care, and if an illness is serious you may need to be emergency evacuated back to New Zealand. Remember, the medical technology and expertise you find in Auckland probably won't be the same in Tonga or Niue, so small problems can quickly turn into big ones. Comprehensive travel insurance is the best solution to eliminate the costs and stress associated with an accident or emergency when holidaying in any of the Pacific Islands. 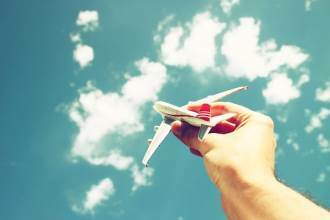 What information do I need to get travel insurance quotes? A list of valuables you plan to bring, such as cameras, laptops and other high-value items. Some policies may require additional cover fees for them to be included. The amount you are prepared to pay for a claim - this is called the "excess". The higher the excess, the cheaper the policy. But if you don't want to pay, for example, a $250 excess for a claim worth $400, consider paying a little more upfront to lower the excess to perhaps a more manageable $100. 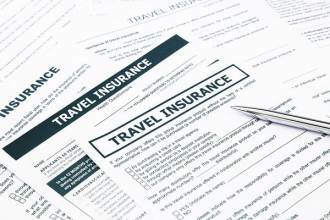 What should I consider when shopping for a travel insurance policy? The travel insurance policy you will need depends on what you are doing. A week in Australia is fairly standard and many policies offer cover which includes all the important things. However, if you're skiing for a week in Whistler or heading off to backpack around Asia for six months, you'll need a different travel insurance policy. The most suitable policy has the right level of cover and inclusions, such as lost baggage, theft, travel cancellation, medical treatment, emergency repatriation and public liability cover. If you have something specific you need to be insured for, you should be able to add this to the policy for a small fee. ​Travel insurance for New Zealanders can be expensive, but saving money on your next policy is easy with our complete guide. 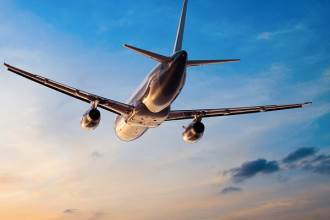 With one in six Kiwis flying out of New Zealand without travel insurance, taking a risk could be costly. If you have booked a trip but not bought travel insurance, buy it now – it is not as expensive as you may think and the peace of mind and full protection is worth the expense. ​We don’t believe Travel Insurance is about picking the lowest price or the biggest or most well-known brand. In this guide, we explain how travel insurance works and offer expert tips and tricks to get the most suitable cover while avoid paying top dollar. Many Kiwis take a risk and say “why would I get travel insurance, I probably won’t use it”. It’s the “probably” which is the issue. Any trip overseas exposes you to unpredictable events; no one can predict the future and “safe” destinations expose you to unforeseen risks. In summary, travel insurance is about protecting yourself from the things you don’t plan for and don’t want to pay for. Many travel insurance policies include pre-trip illness and cancellation benefits, so buying it at the same time as a flight/holiday gives you added protection for free. It’s never too early to insure your trip and get refunded if you are too ill to travel. Am I checking in bags, or travelling only with hand luggage? Am I taking expensive electronics (camera, laptop, phone etc)? Am I partaking in adventurous sports, including skiing? Am I taking a lot of cash? ​Answering these questions will help you pick the right policy. In our Best Travel Insurance section below, we pick providers who meet our minimum inclusion criteria, protecting you for things like pre-travel cancellation and cover what you would expect travel insurance to include. These two providers also have positive customer feedback and are consistent in paying out on claims, even in very extraordinary cases. If I am holidaying in New Zealand, do I need travel insurance? 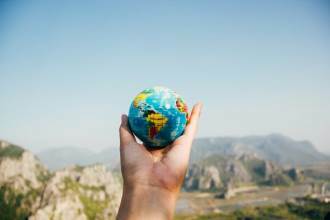 Most policies will cover domestic New Zealand travel, but the benefits are not as useful compared to when you are overseas. As you can use ambulances, airlifts and hospitals for free as a New Zealand resident, the only significant benefits are theft/loss protection and cancellation. 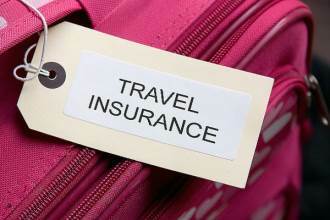 If you want peace of mind and protection for valuables, buying travel insurance for a New Zealand trip is recommended. Many credit cards include “free” travel insurance as part of their annual fee. If you have one of these cards, check out exactly what it covers and who exactly is protected, as well as how to activate the insurance cover. Insurers consider older travellers as high risk, and charge a lot more for a policy. If you are buying for a group, the price of the policy will be higher if you have one or more older people. It is often cheaper to get separate policies, i.e. one for the family and one for the grandparents, rather than combining everyone together in one policy. Be completely honest when buying a policy and ALWAYS declare ALL medical conditions! Travel insurers in New Zealand have a good reputation for paying claims, but they are under no obligation to pay you if you lied when you applied. To best protect you from a nightmare later on, give your insurer a full description of all of your health problems, it is also important to inform them if you are pregnant. The terms and conditions of a travel insurance policy make the rules around alcohol clear - if you are "under the influence" during an incident, your claim will be invalid. This means that if you go out clubbing in Barcelona and lose your bag while intoxicated, your policy won't cover you. If you plan to go beyond the beaten path and hire a scooter, go off-piste skiing or do anything else considered adventurous, check your policy covers it. Often it won't, which means you are uninsured if anything goes wrong. A MoneyHub reader emailed us a horror story: “My friend was talked into going off-piste skiing by her friends during a week in Switzerland, despite knowing she wasn’t insured for that. She had an accident, broke her leg and had to pay very expensive bills. Had she been 50 metres away on the trail, she would have been fully covered by her travel insurance”. Some insurers are offering "medical only" policies, but for 10% more you can get a fully comprehensive policy which includes everything from delays to cancellations and theft. The price difference may work out to be $10 or $20 but it's worth it if or when something does happen. ​Facebook pages are a good place to see how responsive the company is. Are there are a lot of complaints about delays in paying claims, or not paying claims at all? Have a read through before buying any policy to make sure you are happy with the service. New Zealand websites such as “comparetravelinsurance.co.nz” and “trademeinsurance.co.nz” don’t compare every travel insurance company but they do a fairly decent job. But keep in mind both of these sites are not "independent" - one is even owned by a travel insurance provider. We suggest starting with our handpicked list below, which offer the best value and most appropriate coverage. Kiwis love cruises, but standard travel insurance cover often won’t protect you from cruise-specific events, such as missing your departure or being sick due to an onboard virus. See our best Cruise travel insurance picks below. Long-term cover usually means travel insurance policies that last around 12 months, with the option to extend. What you will pay varies greatly, even if the cover is similar. Shopping around and comparing the market online is the best way to save the most and get the best cover. Comprehensive cover for more than just medical - we analysed in detail, beyond the cheap policies offering nothing but accident cover. We looked for reasonable levels of medical cover (i.e. $5 million or more), lost or stolen personal items and travel delays. Value for money - the selection below presents what we consider the best value for money and would personally purchase if embarking on the travel specified. 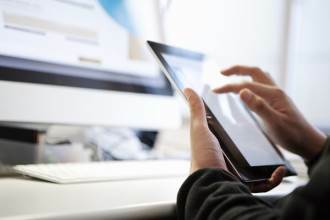 User-friendly websites - we valued insurers who presented their policies, payout limits and other essential information clearly for easy and quick comparison. To obtain our quote data and recommended value-for-money policies, we used a number of different ages as specified below. In most cases, travel insurance quotes rarely move "within the range", so if you and your children are of a different age to what we used, the quotes will still be similar to what we have given below, the age of school-aged children is not a significant factor for policy prices. All travel insurance sold in New Zealand by brands such as State, 1Cover and TINZ is underwritten by major insurers. ​This means the policy has strength and you are not relying on the solvency of your provider to pay out any claim. Individuals - Comprehensive from TINZ ($25, underwritten by Lloyd's) offers complete family protection with a $100 excess. Family - Comprehensive from TINZ ($53, underwritten by Lloyd's) offers complete family protection with a $100 excess. Individuals - Comprehensive from TINZ ($35, underwritten by Lloyd's) offers complete protection for individuals with a $100 excess. Family - Comprehensive from TINZ ($63, underwritten by Lloyd's) offers complete family protection with a $100 excess. Individuals - Standard from Columbus Direct ($72, underwritten by Lloyd's) offers complete protection for individuals with a $0 excess for any travel delay or delayed luggage claim, with a $150 excess for everything else. Couples - Comprehensive from TINZ ($131, underwritten by Lloyd's) offers complete protection for couples with a $100 excess or Standard from Columbus Direct ($136, underwritten by Lloyd's) which also offers complete protection for couples with a $0 excess for any travel delay or delayed luggage claim, with a $150 excess for everything else. Family - Comprehensive from TINZ ($131, underwritten by Lloyd's) offers complete family protection with a $100 excess. Couples - Standard from Columbus Direct ($136, underwritten by Lloyd's) offers complete protection for couples with a $0 excess for any travel delay or delayed luggage claim, with a $150 excess for everything else. Family - Standard from Columbus Direct ($136, underwritten by Lloyd's) offers complete family protection with a $0 excess for any travel delay or delayed luggage claim, with a $150 excess for everything else. ​65+ - Premier from NZ Travel Insurance $239, underwritten by Allianz) protects 65+ with a $100 excess on all claims (for $35 more, the excess reduces to $0). Both Standard from Columbus Direct and Comprehensive from TINZ have policies that range from $240-$262. We compared our Best Buys (above) with well-known brands such as Southern Cross, AA Travel and Air New Zealand for couples travel insurance for trips to Australia, the USA and Europe. Our best buys, which offer low excess and generous medical and personal item cover, were priced around half the price when compared to major brands like State, AMI, AA Travel, Cover More and Air New Zealand. We compared our Best Buys (above) with well travel agents such as House of Travel, Mondo and STA Travel. We excluded Flight Centre as they did not provide online quotes or offer policy information without engaging a travel agent. We priced travel insurance for couples travelling on trips to Australia, the USC and Europe. Our best buys, which offer low excess and generous medical and personal item cover, were around half the price of that charged by travel agents for cover in Australia. ​Note: Where "Europe" isn't an option, we have selected "France" in its place. We compared our Best Buys (above) with the banks offering travel insurance, pricing policies for couples travelling on trips to Australia, the USA and Europe. Westpac was the most price-competitive bank across the board, with low priced cover for a week in Australia. Banks policies were still at least 25% more expensive than our best buys, and in some cases (i.e. ANZ and AMP) the policies offered were twice as much for similar cover to the USA and Europe. If something has gone wrong, it's a straightforward process to claim on your travel insurance policy. You'll need to know the excess fee on your policy and be prepared to answer any follow-up questions the claim assessor asks. You'll have all the information and can gather more details if requested - do not wait until you get home to make claims. The quicker you submit a claim, the quicker it will be assessed and paid out. Call your insurer and talk about the medical treatment and if it is covered by your policy. For example, if your bags are lost and you have essential medicines inside them, make sure they cover this and make a note of who you spoke with so there is less chance of a rejected claim later. If it's an emergency, don't delay any treatment. The more evidence you have of a loss, the better your chance of you have of being successful in your claim. Don't hesitate to report the theft and get the police report and/or crime reference number details to include in your claim. Whatever type of problem you experience, if you need to buy anything make sure you keep hold of all the receipts. This includes food and drinks for delayed flights, new clothes for delayed bags and so on. A credit card statement may suffice, but actual itemised receipts make a claim go a lot smoother. Facebook is full of complaints from travel insurance policyholders who have been rejected. If you have been rejected and you think it's unfair, appeal it. Jump on the phone and explain why your claim meets the T&Cs of the policy you bought. If they don't agree, you can lodge a complaint with the Insurance & Financial Services Ombudsman Scheme which resolves disagreements between customers and their insurers. Their free-of-charge service will make the final decision about your claim and order the insurer to pay out if they find in your favour.